I can click on the photos and see them but they don't seem to display. Right and Left threads - loosen the lock nuts and turn the centre. The spring seats were lowered by Dave Gallop to get the underside of the car very slightly lower at the front. Before adjustment the flat floor was lifting the car with 15mm rake the wrong way. 4. 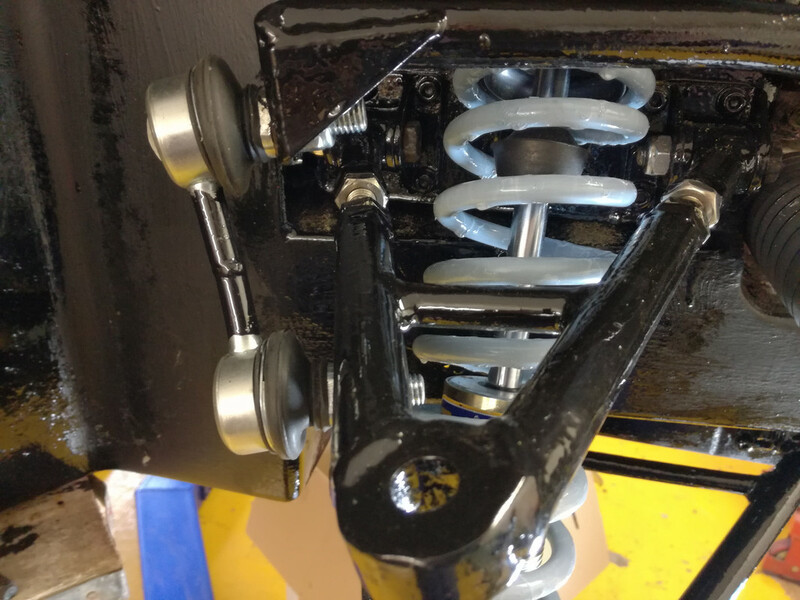 MGF quick rack fitted and new joints where worn. All looks very good. I like the adjustable top wishbone . Did you do that yourself? Presumably enough metal removed so it can be shorter than it was originally to give negative camber. The thread on the top ball joint doesn't protrude far from the nyloc - I've always worked on the rule of two clear turns left showing - I guess they were designed for a plain nut with a tab washer? Might be worth checking the tightness of those from time to time, especially as the paint below them might creep a bit. I like the shorter drop links - any impact on movement ratio (and thus stiffness)? I note you aren't on the stiffest anyway! 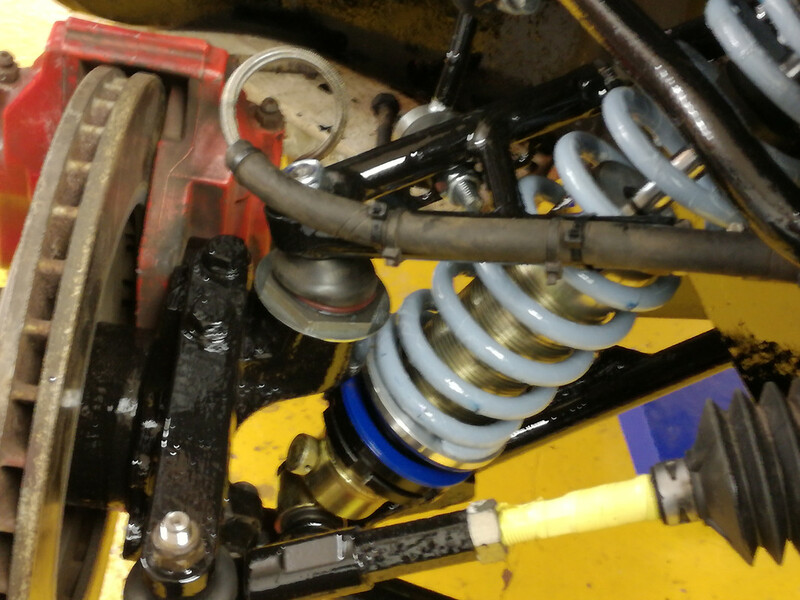 Could you give me details of the front suspension parts interested in doing this myself. 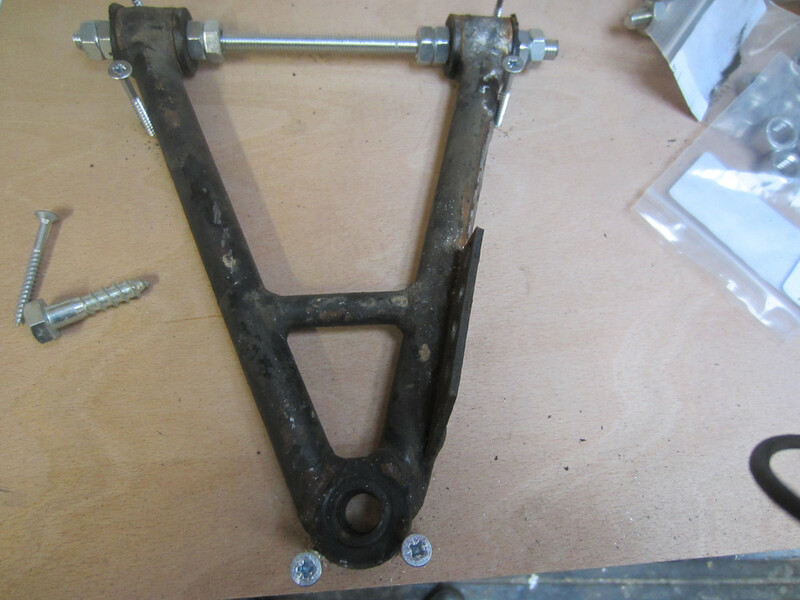 Long threaded bar and locknuts to keep dimension of the wishbone. Cut wishbone in position that can be easily accessed. 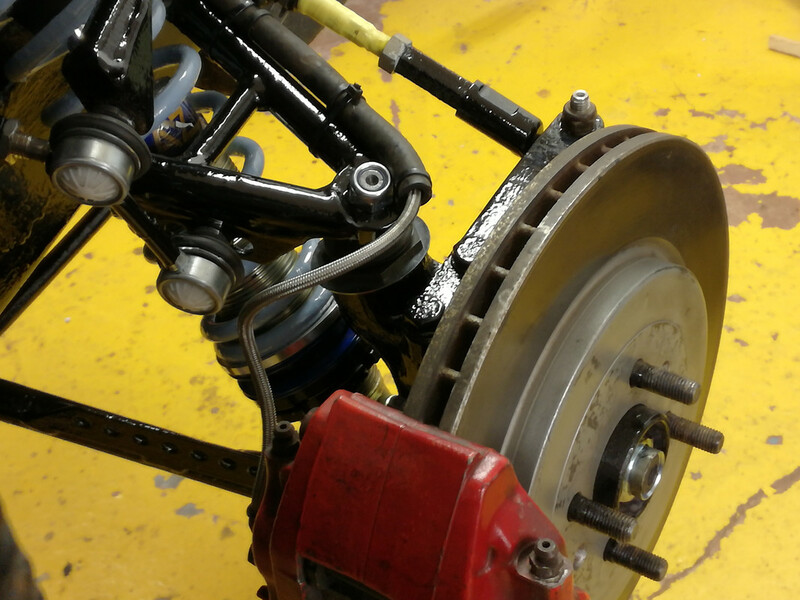 ----- Get camber and castor checked properly!!!! 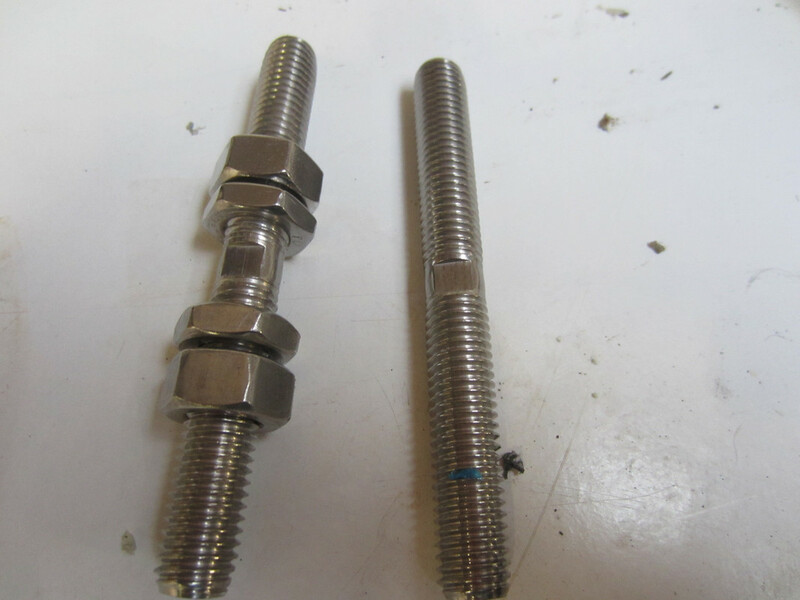 Struggling to find the threaded adjuster where did you get them from and have you used stainless. Just a thought chaps....is stainless steel componentry best avoided for safety critical items such as suspension? I’ve always avoided using it for anything like that because I didn’t think it had the tensile strength? Is A 4 grade stainless ok in this respect? That link doesn't say what tensile rating the stainless is. You can get high tensile stainless, A4-80, that is similar in strength to 8.8 (but nowhere near 10.9's). Most A4 stainless is A4-70 though. The tensile strength of A4-70 is about 7/8's of 8.8's so not exactly weak but worth thinking about it. What is stronger out of the the original tube and the threaded rod? Where are the stress concentrations? I imagine that fatigue generation would be more likely to lead to failure than the tensile strength of any of the components. I would guess that a system with welded nuts and threaded rods would have a number of places where stresses could concentrate compared to a simple tube. For camber adjustment I'd say a threaded top joint at the end of the wishbone would be stronger but that wouldn't adjust the caster (and would need to be undone to adjust it). Makes sense Dave thanks. I’ve always avoided stainless in any sort of suspension scenario to be on the safe side but I don’t suppose it’s completely necessary. 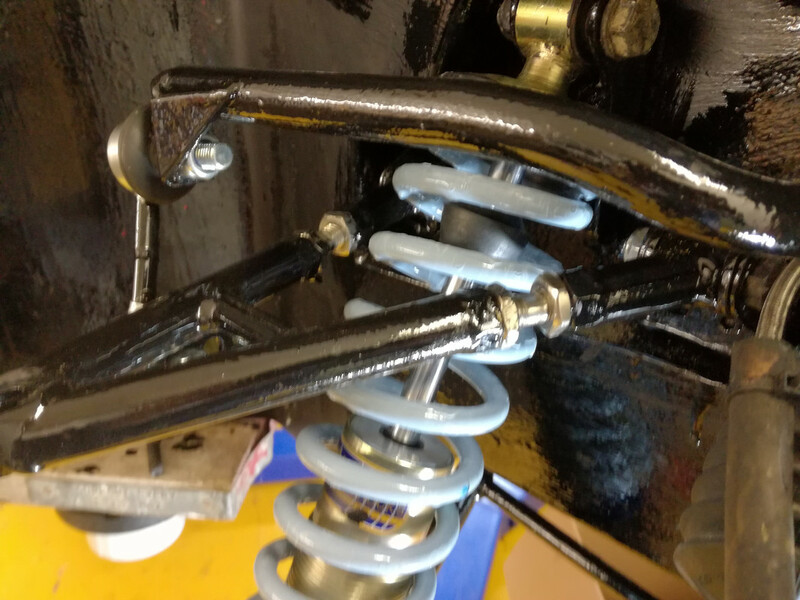 I’ve had a couple of conversations with Dave Gallop about an adjustable front wishbone (also z cars), I’ll speak more to Dave when he sets my car up but an adjustable joint at the outboard end would be easiest but, dependant on what static / dynamic castor measures at, two adjustable joints at the inboard end would provide full adjustment. I've had stainless bolts for the front wishbone pivots, lower hub pinch bolt and shock mount for years. I use as an everyday road car which IMO needs be more durable than a track car due to the high shock loading from poor roads unlike super smooth tracks! The issue with making parts out of SS is the welding which can sensitise the SS to stress corrosion cracking (esp if used in a harsh environment) and hot cracking (during cooling) due to low melt impurities in the metal. 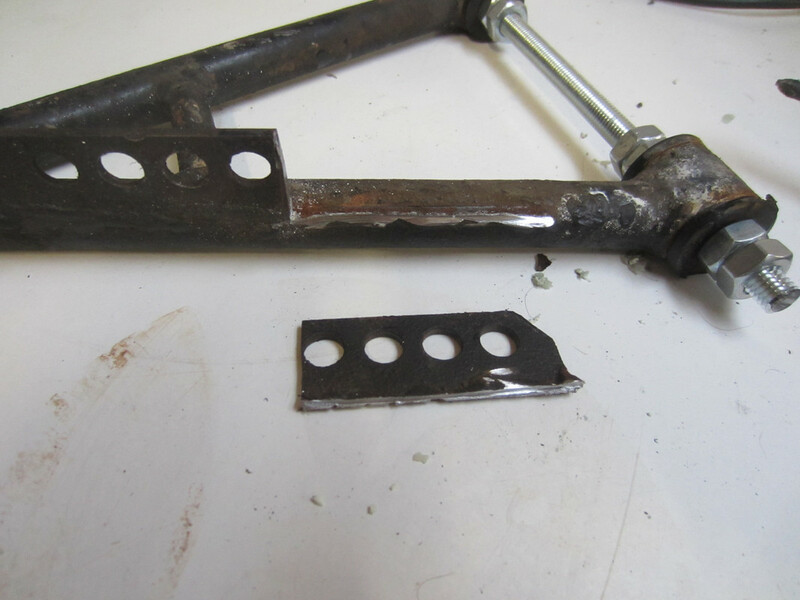 Both of these can be offset by good quality material (inc the weld filler material) with proper compositions and good welding technique. Compared to a 12mm bolt the tube will fail.